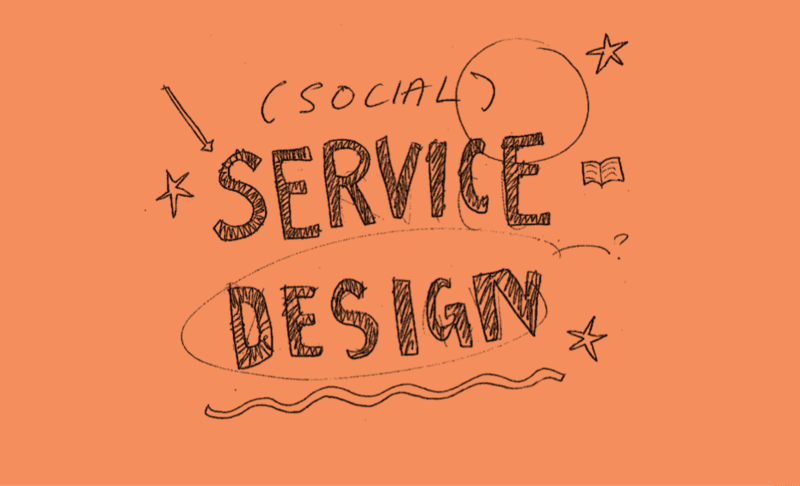 As part of Fire Starter Festival 2019, Iriss ran a workshop which provided participants with an opportunity to learn about service design in a social services context, and think critically about how we put people at the centre of such processes. 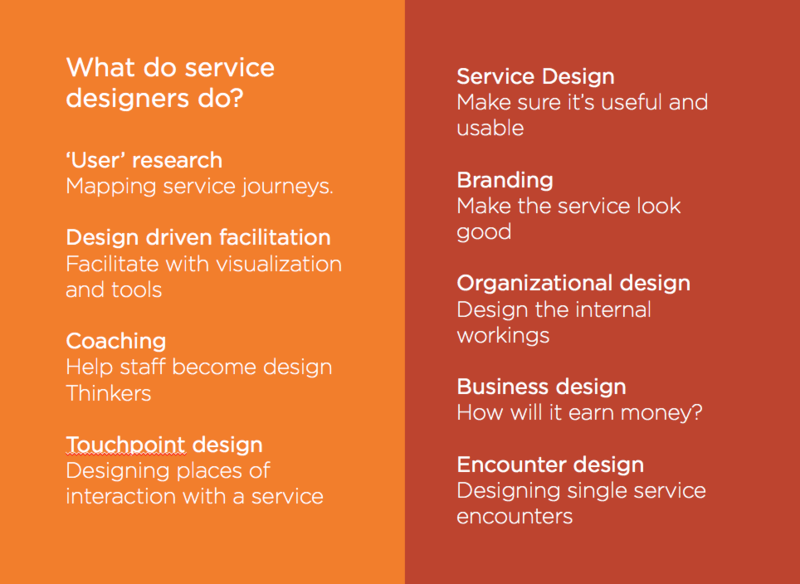 It can be hard to get the head around what service design actually means – this may be because as a discipline it is relatively new and encompasses a range of skills and approaches. Service design can be delivered by external partners or consultants, but can also be delivered by staff embedded within organisations or by people using services. By reviewing what service designers ‘do’, participants could see what skills they already have in their toolkits! Delight: making services look and feel good. Usability: making the service easy-to-use. Removing pain points or ‘groan zones’ in the service and testing iterations to find out if the service works in real life. 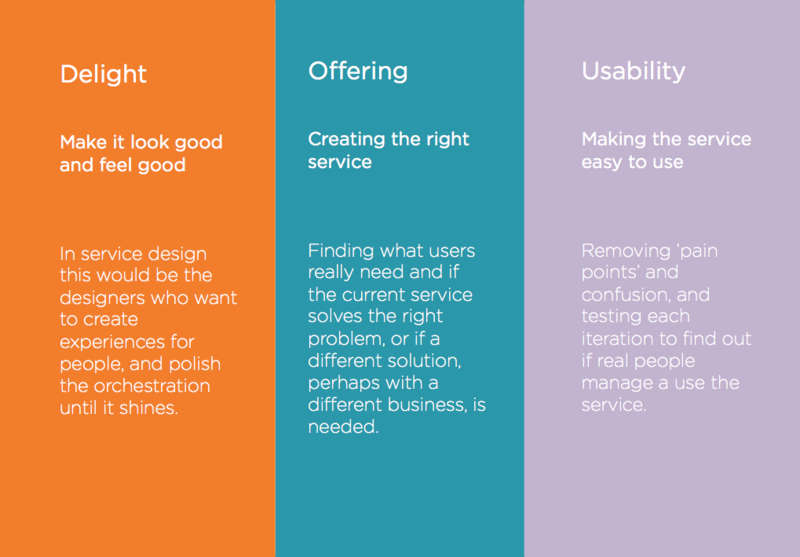 While service design is often discussed in a business context with a user or customer as an agent in the process, within a social services context we must be mindful of bringing the users of services into the design process as equal participants. . The group then moved on to explore how we place values of inclusion, integrity and honesty into our design of services. I highlighted the Design Justice Network. This network uses design to challenge and dismantle establish power structures. 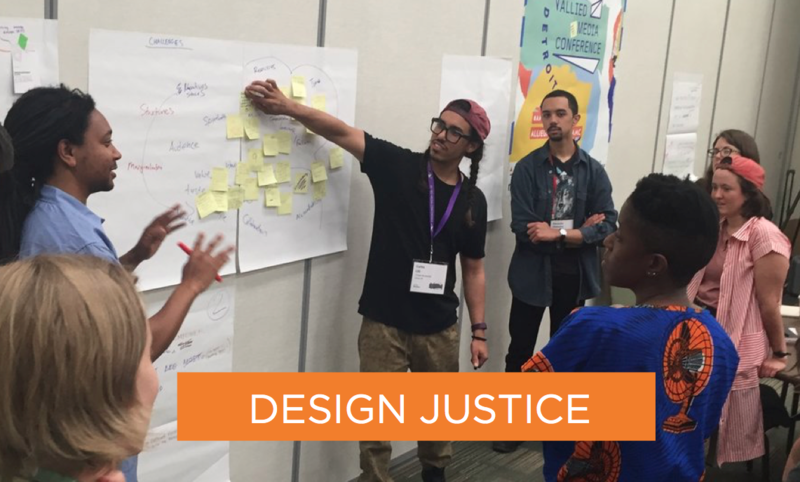 The Design Justice Network suggests that together with your colleagues, you create a set of principles in accordance with your shared values to guide how you will work, the types of work you will choose to do, and the impact you want to make. This is a great place to start if you are thinking about learning more about service design or developing a service design project. You could also use the ‘thinking hats’ activities to help reflect on the values that are embedded in your organisation. Underpinning the conversation was the acknowledgement that the most valuable ingredient in service design is often the inclusion of people with lived experience. It is this principle that led us to spend the second half of the session talking about co-production and how this can be used as a service design methodology. The level of engagement from participants was excellent and the range of ideas and projects that they were involved with was fantastic.